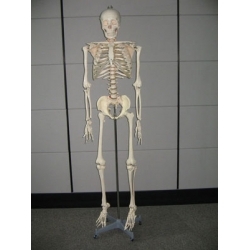 Life-sized, articulated adult plastic skeleton. 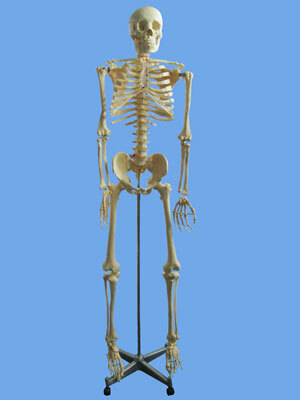 Skull features moveable jaw, suture lines, and removable lower tooth. 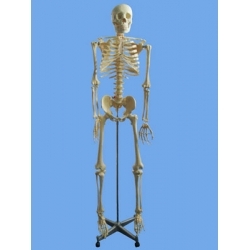 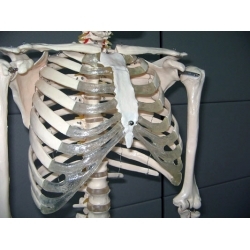 Mounted on a metal rod that extends from the sacrum.